The Muslim community in the post-indenture Caribbean witnessed several changes that affected the character of its practices. As a way of institutionalizing the faith, the community had established masajid (mosques), schools and other organisations. As these physical manifestations and legal entities were being inserted into the local space, foreign missionaries who visited imposed their brand of Islam on the local landscape. The tension which arose resulted in the splintering of the Muslim community. Each strain, Sunnism and Ahmaddiyaism, vied for supremacy – territoriality – by supporting missionary visits from India and later Pakistan, and embarking upon da’wah (invitation to…). As these streams of Islam collided or solidified, organisations, either at the community or national levels, were established. As part of forging the ummah (community) Muslim leaders established links with South American Islamic bodies, principally those of British Guiana and Suriname. 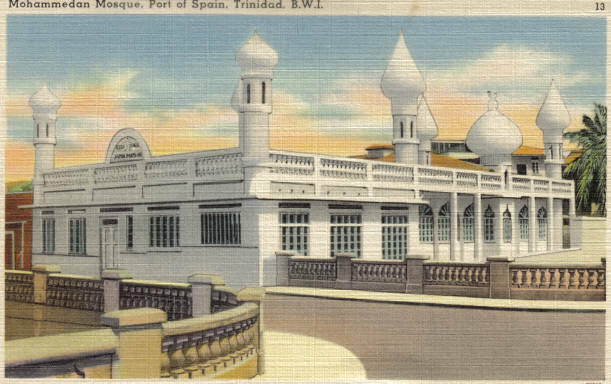 This development of Islamic consciousness and cooperation culminated with a regional conference in 1950 in Trinidad that involved Muslims from Trinidad, British Guiana, Suriname and Barbados. This conference was the highlight of Islamic consciousness in the Caribbean and preceded the departure of two eminent Islamic scholars, Maulana Abdul Aleem Siddiqui and Dr. Fazl-ur Rahaman Ansari. This paper, therefore, takes a look at the above issues and rethinks them in the context of interconnected networks and sometimes, through the lens of the local-global nexus. It views it as a noble attempt by the Muslims to assert the ummah beyond national boundaries and a forerunner to other efforts in the later twentieth century. Today, regionally and globally, there is the preoccupation with integration, migration and mobility of labour, cross-border workers and ways in which all of that and more can be facilitated while addressing issues of sovereignty and identity, participation and inclusion. Yet, during the 1920s to the 1950s there were clear examples of community groups forging ties across the waters and creating facilitative mechanisms for coming together for dialogue. Today, we also value immersion or experiential learning and student/youth exchange programmes. Yet, during this period there were clear examples of youth exchanges taking place among niche communities. Today, the concept of civil society is a popular notion. It is often seen as a “third sector”; sometimes it operate as a continuum from the state and the economy or it can function as an intermediary between the state and the economy. For political theorists, this notion of civil society reinforces the democratic nature of states. Civil society movements are driven by moral, political and social issues. What provides impetus for these organisations are a shared interest or a shared cause – an organisation of self and interests. In this context, it is possible to see the emergence of civil society as a manifestation of social change within the colony and a claiming of space by the Muslims demanding recognition of presence in the colony and thus, increasing their bargaining power within society and with the colonial government. As we shall see, the urge to belong, to be part of something bigger, also propelled the Islamic movements of the 1920s and beyond. Islam entered the Caribbean through two streams; the African slaves and the Asian immigrants, that is, Indian and Indonesian (Javanese). This paper is predominantly concerned with the Indian stream. 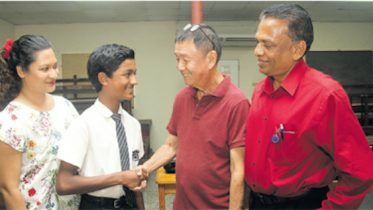 Labourers from India began arriving into Trinidad, British Guiana and Jamaica in 1845 and Suriname from 1873, and continued until 1917 in the British and Dutch West Indies. By 1917, some 419,349 indentured immigrants had arrived in British Guiana, Suriname and Trinidad. Of the indentured immigrants imported an estimated eighty per cent of the migrants were Hindus, fifteen per cent were Muslims and the rest were tribal, Christians, Sikhs and others.1 Of the Muslims that arrived, the majority were Sunni Muslims believed to be of the Hanafi school of thought. During the course of the nineteenth century the new immigrants began claiming their space through the establishment of villages which became the mecca for religious and cultural reconstitution including built symbols – masajid. This suggests that the social capital which formed as a result of migration and settlement constituted a frame that generated cultural symbols and norms that supported social relations and bonds among various actors. They hankered after the “old” and used the certainties of the culture and religion as coping mechanisms to address their insecurities. As they began to see themselves more as settlers although still adrift and defining themselves they became open to contact, contact with the familiar aimed at recovery of identity, a way of not losing touch with their ancestors and homeland. It is why the local community sought to invite individuals, missionaries, from outside to energise the faith. This ambivalence – the creation of parallel or niche communities and institutions to encompass the totality of daily life, the incremental integration within the host society – predefined their level of absorption within the host society. Brij V. Lal, “The Odyssey of Indenture: Fragmentation and Reconstitution in the Indian Diaspora” Diaspora (Vol 5 No. 2) 1996. 167-188. This is also supported by Dale Bisnauth, The vast majority of the immigrants came from the Indo-Gangetic plain, Uttar Pardesh, and Bihar with a minority from Oudh and Bengal; predominantly Hindu areas. These were predominantly Hindu areas. In Uttar Pardesh and Punjab, where a significant number of the immigrants originated Sunni (orthodox) Islam dominated. However, Shias (also spelt Shi’ites- another stream in Islam) and the Wahhabis (followers of strict fundamental Islamic teachings) were also to be found (Titus, 1960.31). J. Hannon, cf. M. Marcoux, 1984.37. Be the first to comment on "INSTITUTIONALISING ISLAM: COMMUNITY BUILDING AND CONFLICT IN THE CARIBBEAN"